Lean Thinking: The Biggest Weakness is Contemporary Business Culture? The Biggest Weakness is Contemporary Business Culture? One of my revered senseis always talked about Big Heart. The biggest weakness in contemporary business culture is an absence of heart. The scandals of the past decade – Enron, Wall Street, Madoff, McKinsey-Gupta and the like reflect it. In each case, the villains were ‘achievatrons’ at the trough, stuffing themselves at the expense of the public. Often, something darker than greed is at play. 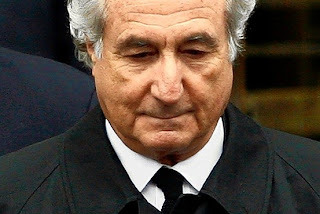 Do people like Madoff believe they was somehow above the law, and immune to the rules that govern the rest of us? By contrast, my sensei spent hours teaching my chums and I – at no cost. He dedicated his life to teaching aikido, and helping us become better people. A society is healthy when old people plant trees whose shade they know they will never enjoy.